Poliomyelitis (polio) is a paralysing and potentially fatal disease that still threatens children in some parts of the world. The poliovirus invades the nervous system and can cause total paralysis in a matter of hours. It can strike at any age but mainly affects children under five. Polio is incurable, but completely vaccine-preventable. 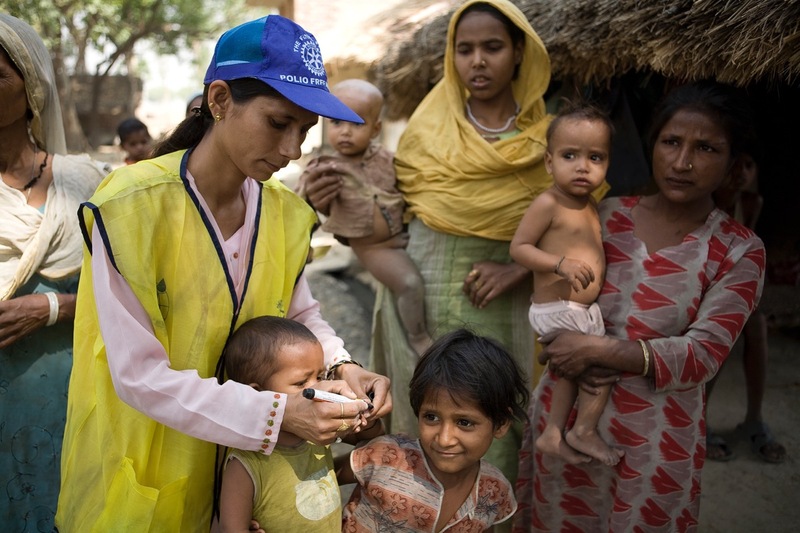 Rotarians the world over became engaged with the campaign to eradicate polio in the mid 1980s. 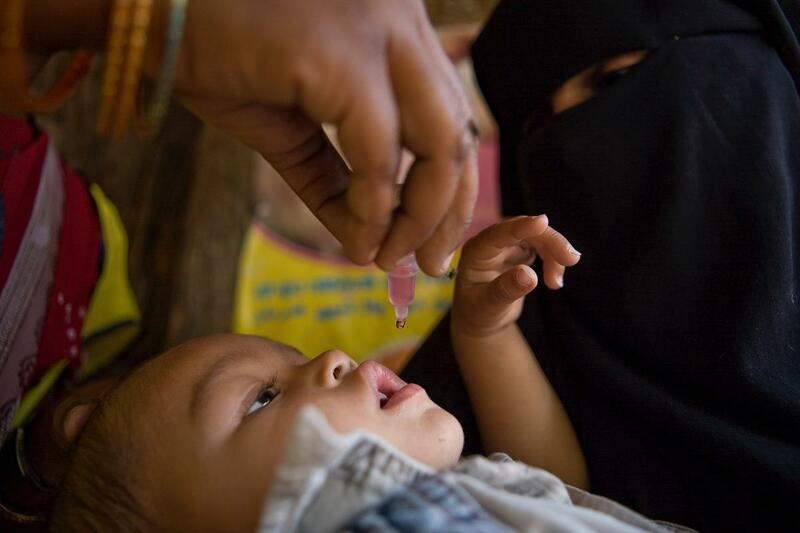 From being a worldwide scourge with some 1000 cases per day, polio is now endemic in only three countries. In 2016 just 37 cases were confirmed worldwide. Rotary and its partners now need to make a final push to kill off the polio virus, once and for all. We are so close to our goal. In 2009 Bill Gates - of Microsoft fame - through the Bill and Melinda Gates Foundation, pledged US$355 million if Rotarians raised $200 million by June 2012. Rotarians reached the target 5 months ahead of schedule. The money was used in mass immunisation programmes in the three remaining affected countries. Rotary and the Bill & Melinda Gates Foundation have extended their partnership during the critical endgame phase of the Global Polio Eradication Initiative. Since 2013, every US dollar Rotary commits to polio eradication will instantly become three dollars, thanks to a 2 to1 match by the Bill & Melinda Gates Foundation. Rotary, with matching funds from the Gates Foundation, has contributed more than $1.7 billion to end polio. Since the start of the campaign, we have reduced the number of polio cases by 99.9 per cent and reached more than 2.5 billion children in 122 countries with the vaccine. Join Rotary in the final push to end polio and help make history today.